Human language is limited and often fails to provide us the perfect words that explain our desires and emotions, this is where music comes in. Through the marriage of words and instruments, music is able to elevate the expression of our soul. Of course, the ability to do this is one sparsely distributed among the human population which has resulted in those with the ability getting an average financial benefit higher than that of the average population. One man who was able to achieve this while he was alive is Robert Miles, a musician and DJ who lived between the years 1969 and 2017. During his time on earth, he was able to release songs like Children, among a few other tracks. Learn all about his life and eventual death in the paragraphs below. Miles was born in Switzerland but is of Italian origins born on the 3rd of November 1969 in Fleurier, Switzerland as Robert Concina. Even though he was an Italian, he did step on Italian soil until he was ten years old, due to the fact that his father was a military man who was stationed in Switzerland. When his father finally moved him and the rest of the family out of Switzerland, they settled in Fagagna in Italy. His parents were Antonietta Lauro and Albino Concina. Although there is no information on his formal education, he began taking the only education that would matter in his life as a teenager. Exposed to American soul music as a child, he began taking piano lessons and became a DJ at the age of 13, getting gigs at local parties. By the time the 80s rolled around, Robert Miles had gotten so good and so popular that he had taken his DJ talents to other parts of Venice, playing at various area clubs. He started out using Robert Milani as his professional name but later adopted Miles as a representation of the length of his musical journey. 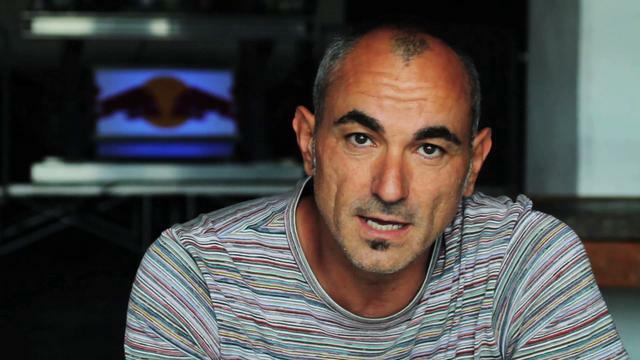 By the 90s, Robert Miles had made enough money to establish a small pirate radio station and a recording studio that signaled his major breakthrough. Using his small studio in his home, he wrote the song, ‘Children’, it was a song that was made on acoustic guitar chords with additional synthesizer effects and a piano theme. The song, which was inspired by the photos of war-torn Yugoslavia which were taken by his father was a slow starter at the time of its release but slowly picked speed and crept onto the top of the tracks in several countries in Europe, from Germany to Holland to Belgium. The song, became a European blockbuster, becoming the number one song in Europe in 1996. Children sold over 5 million copies worldwide and won Miles a couple of awards, including a Brit Award and a World Music Award. Buoyed by the reception to his single, he released his first album, Dreamland on June 7, 1996. Singles from the album include Fable, and a cover of One and One, which hit number one on Euro Top 100 Singles chart. His second album 23am was released in November 1997. Disillusioned by his current label, Deconstruction Records, which he had signed with at the success of Children, Robert Miles established his own record label, Salt Records and through it, he released his third album, Organik. His fourth and fifth album were released in 2004 and 2011 titled Miles_Gurtu and Thirteen respectively. His music had always featured in several movies, so in 2012, Miles finally got a chance to work on a movie soundtrack, providing the soundtrack to The Turn of THIS Century. His last major project before his death was the establishment of an online alternative radio station called Open Lab in Ibiza, Spain. See Also: Ruta Lee Bio, Age, Height, Measurements, Is She Dead or Still Alive? Robert Miles was a man who embraced diversity and allowed his creative process to be driven by a different way of doing things. It was this mentality that drove him to create a pirate radio station in his youth and led to his first successful track. It was fitting that a man like him did not die a normal death, however unfortunate it might be. Miles passed on to the great beyond on the 9th of May, 2017, at his home in Ibiza. He died at the very young age of 47 after struggling with a stage 4 metastatic cancer for 9 months. In death, his legacy continues to live on with his released works and his radio station, which is set to return to the air in April 2019.